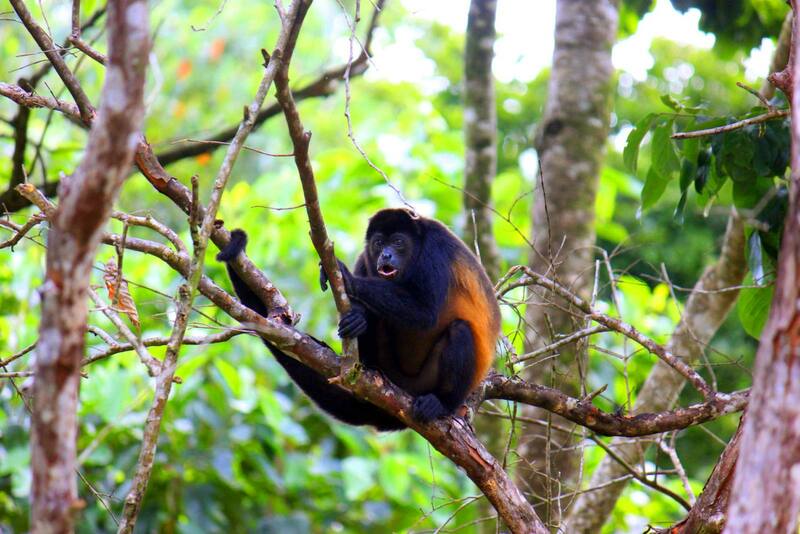 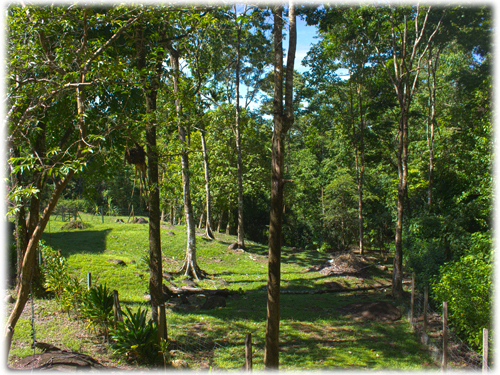 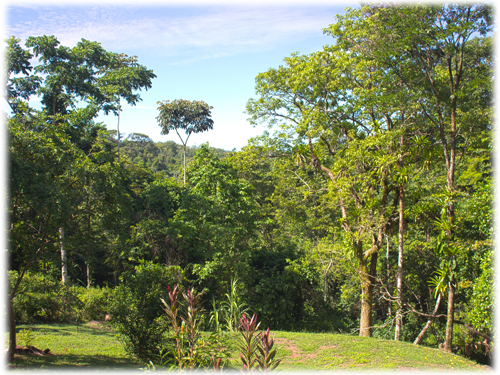 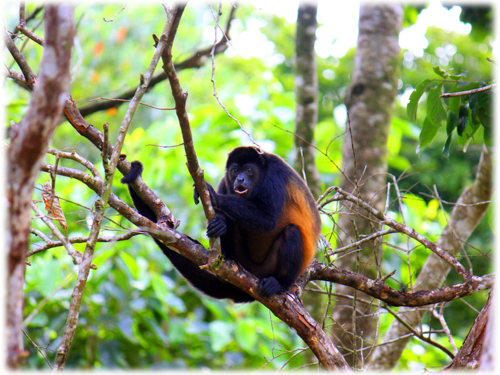 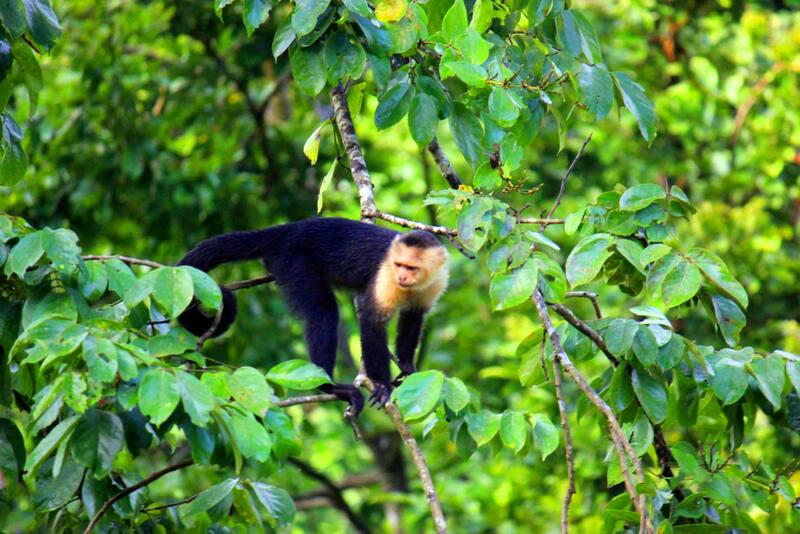 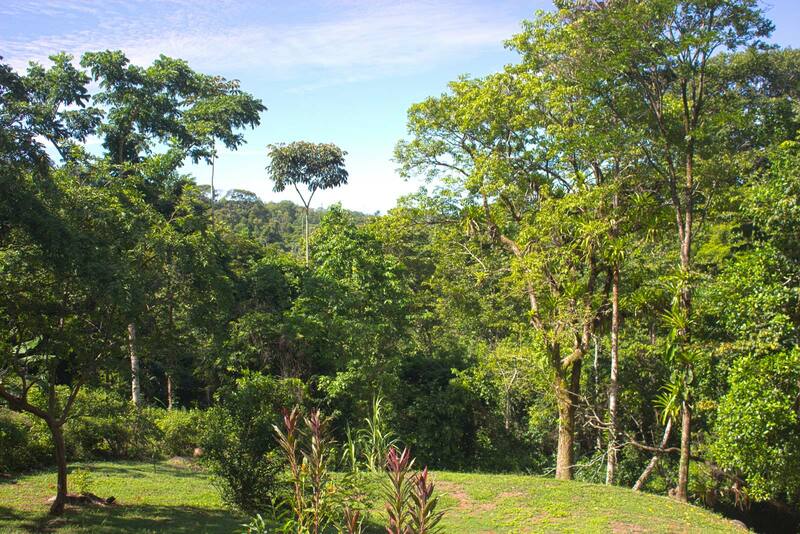 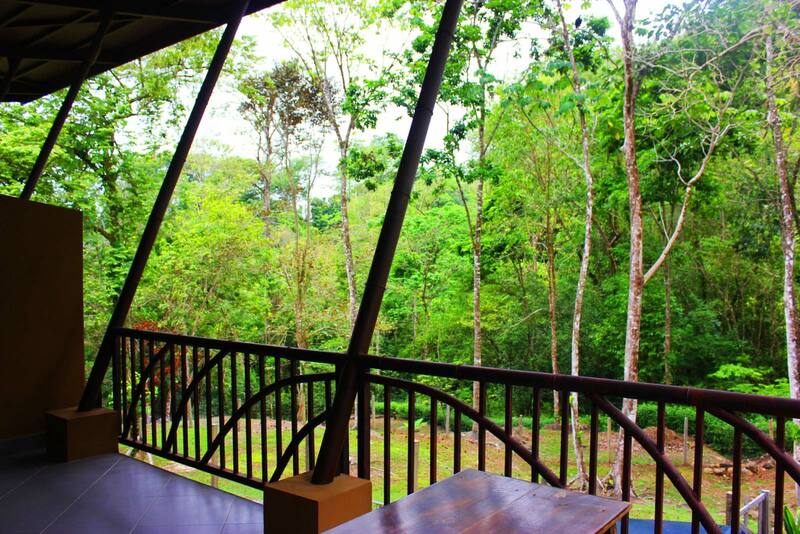 Want to live in a place where everyday you get to enjoy the wild beauty of Costa Rica's rainforest? 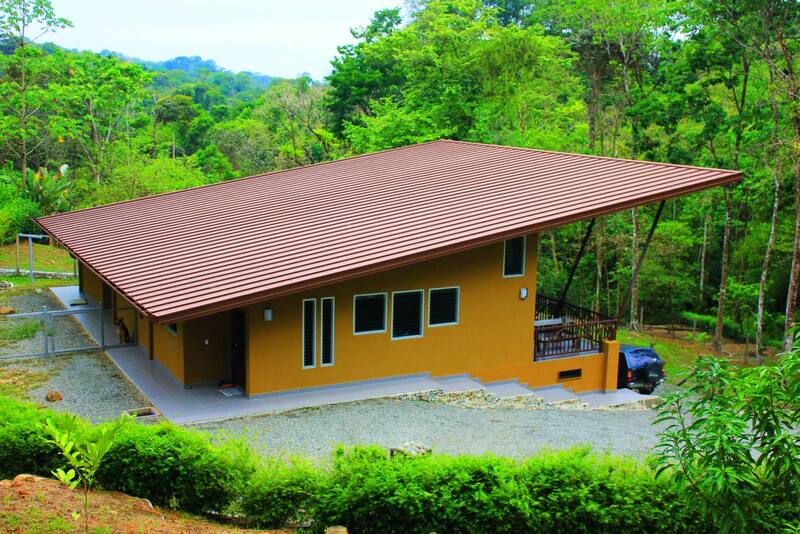 Want to have privacy and quiet surroundings without being removed from civilization? 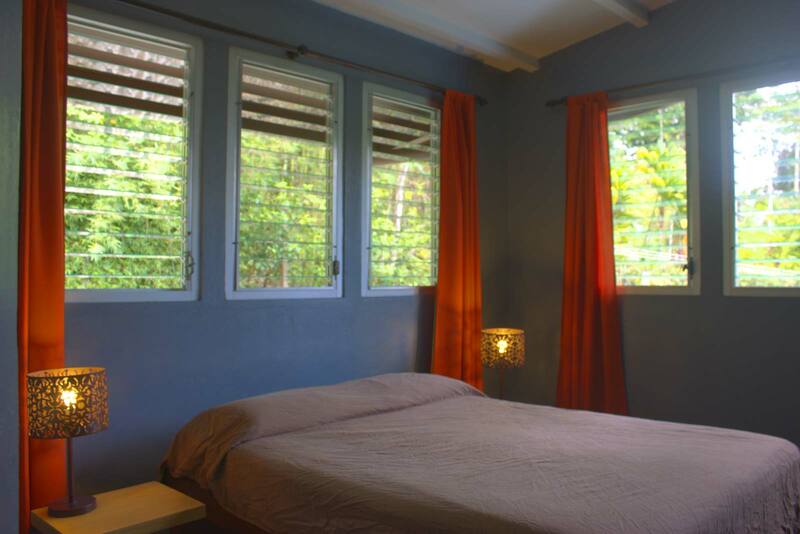 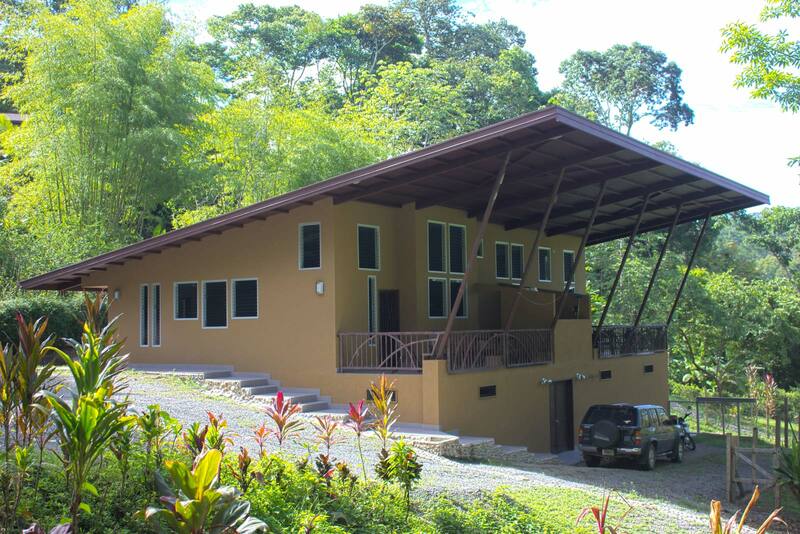 This modern home is located within one of the few secure communities in close proximity to the town of Uvita, which is only 7 minutes from the property, meaning beaches, shopping and services are easily accessed on a daily basis. 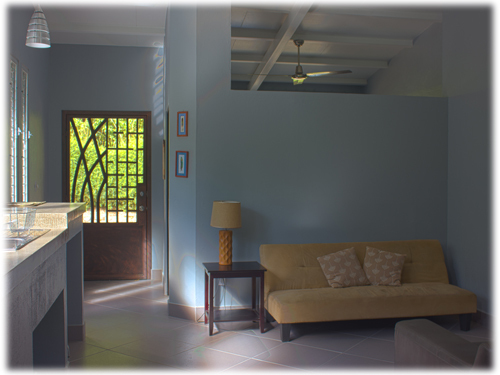 The home is perfect for those who plan to live full time in the Costa Ballena and will have friends and family visiting on a regular basis. 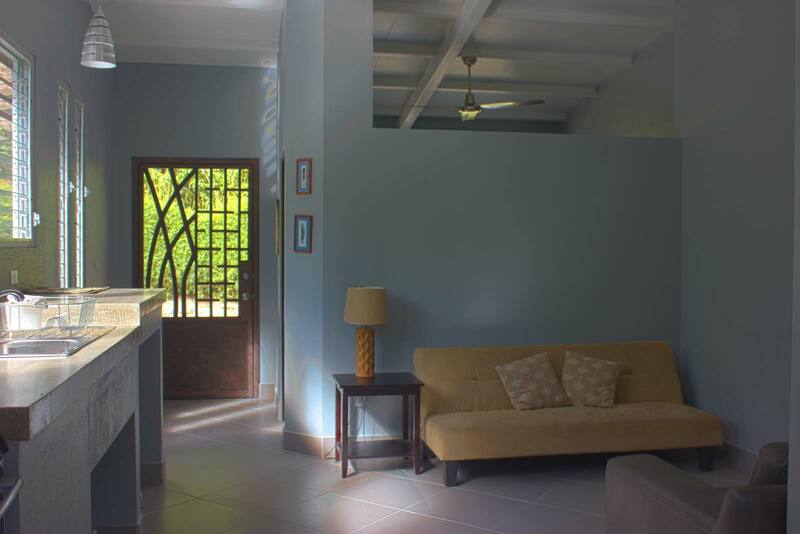 The home is perfect for those who plan to live full time in the Costa Ballena and are wanting to take full advantage of the healthy, active lifestyle of the area. 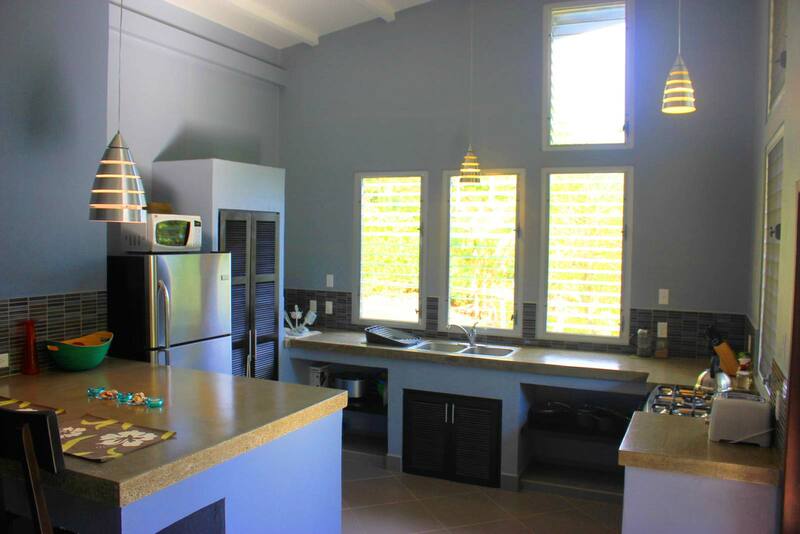 2,000 sq ft under roof, the main side of the home includes a kitchen with custom concrete counter tops, open shelving, pantry and stainless steel appliances. 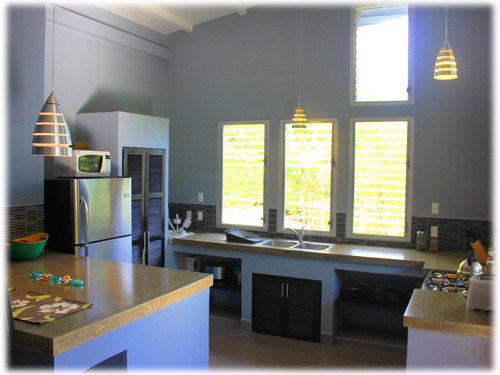 The large dining and preparation island is great for entertaining. 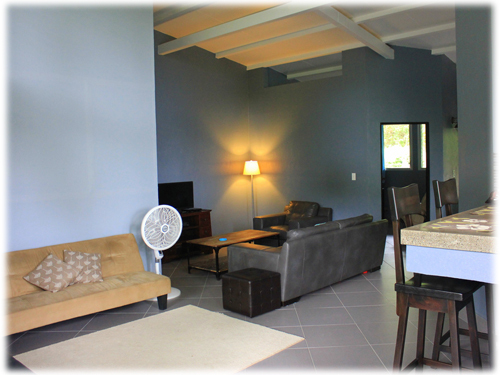 The TV and play area are one open space. 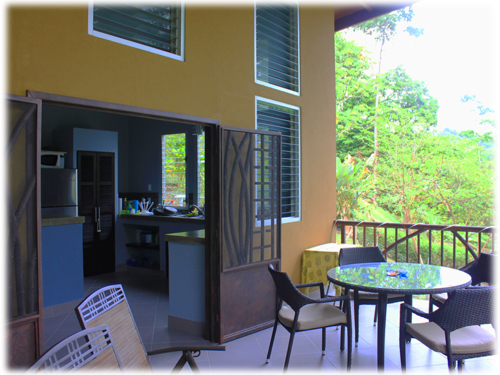 The large custom made iron french doors open onto the outdoor patio, with dining and new BBQ. 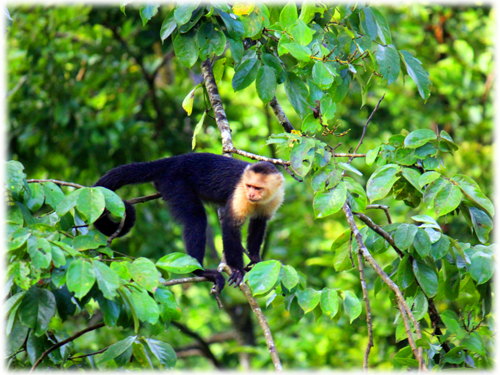 From here you will enjoy bird watching, including Toucans, Aracari's, Hawks, Tanagers, Parrots, Trogons and Herons, as well as the entertainment provided by the Howler and Capuchin monkeys, which pass along the property almost every day. 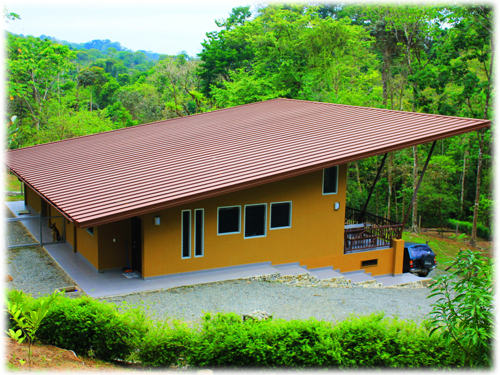 The main side holds a master bedroom with en suite bathroom and secure walk-in dehumidified closet. 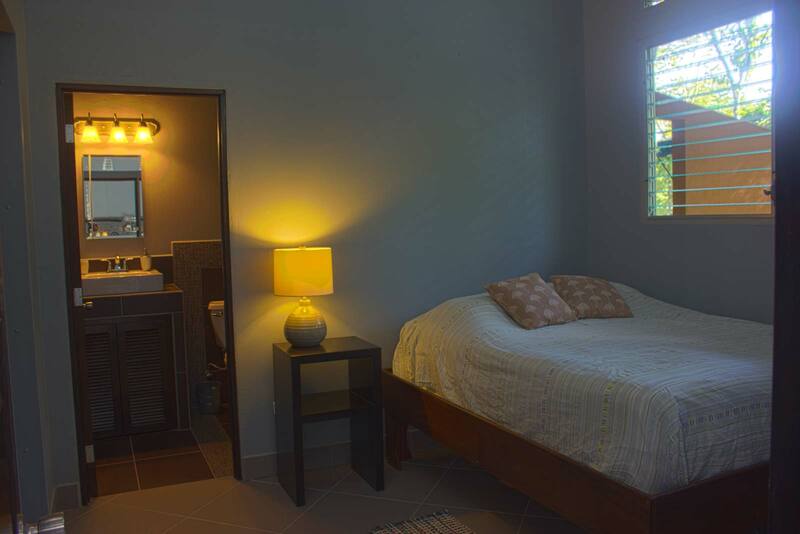 The guest room shares a full bathroom with the guest room on the second side of the home. 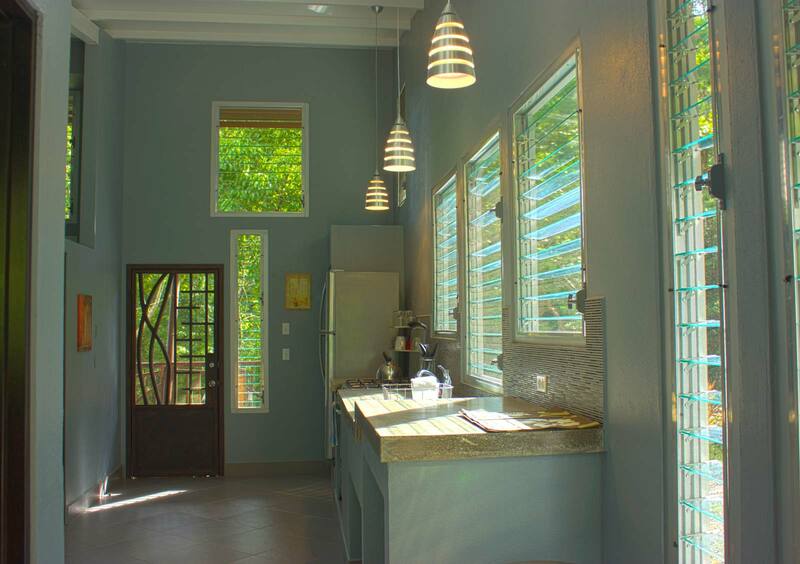 The second side of this duplex-style home has its own private entrance and a galley style kitchen, equipped with breakfast bar and pantry. 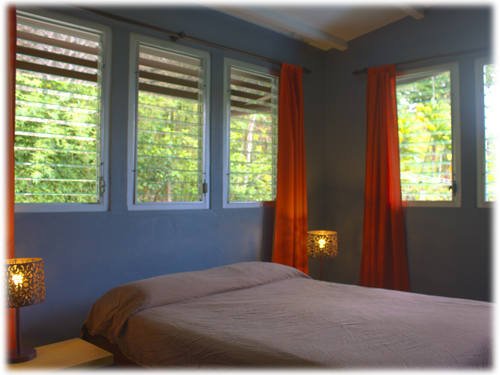 The master bedroom holds a en suite bathroom and secure walk-in dehumidified closet. 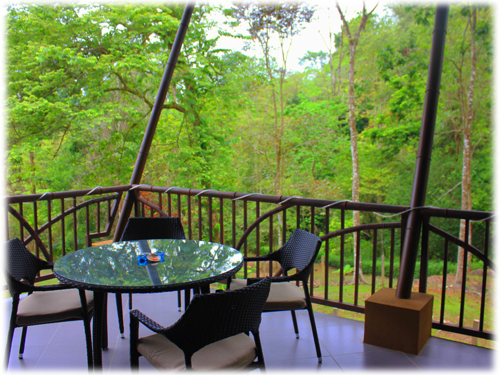 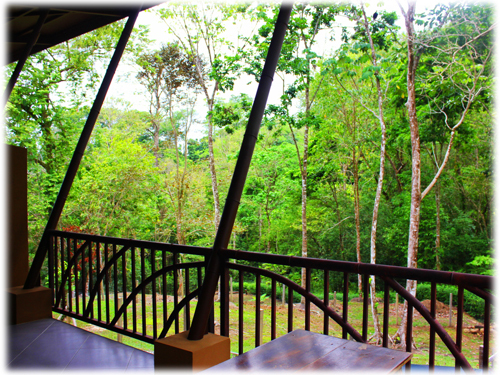 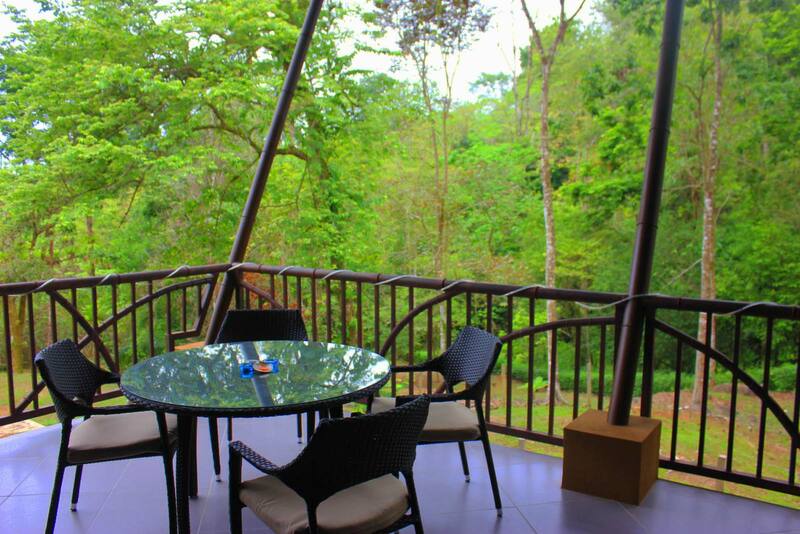 The kitchen opens onto the balcony, so guests and family can enjoy the rainforest view in privacy. 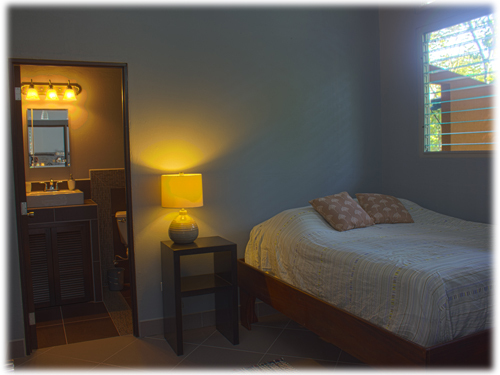 This fully equipped guest suite is ideal for those who will have family and friends visiting on a regular basis! 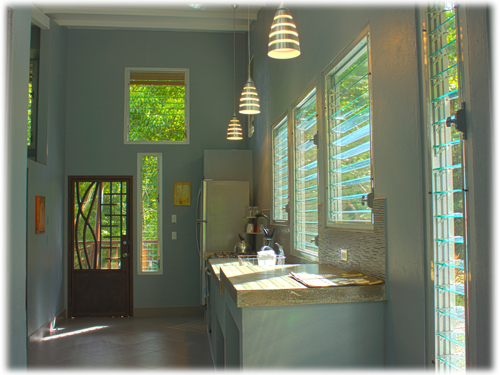 The duplex home features sloped 8 to 13 foot ceilings with large louver windows and also holds a shared laundry room and large tool shed/storage under the home where there is a third secure dehumidified room. 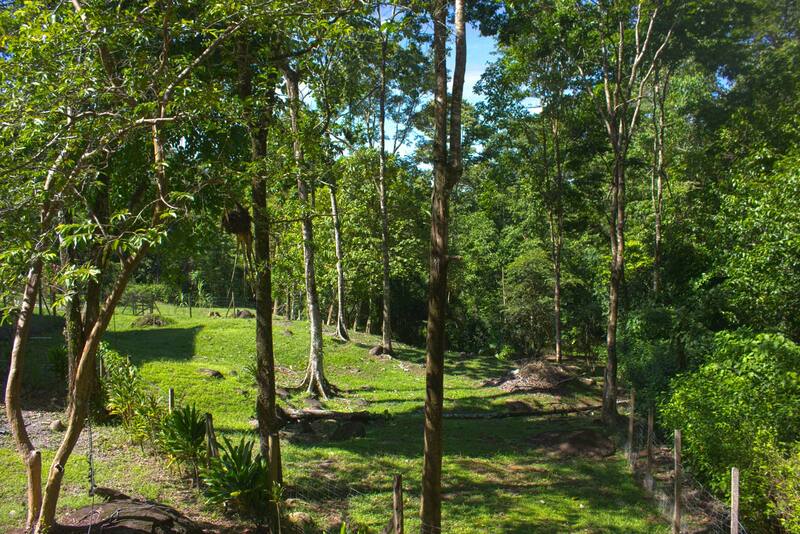 The rolling land of the 1.24 acres is very usable for additions such as a swimming pool, additional guest home and rancho. 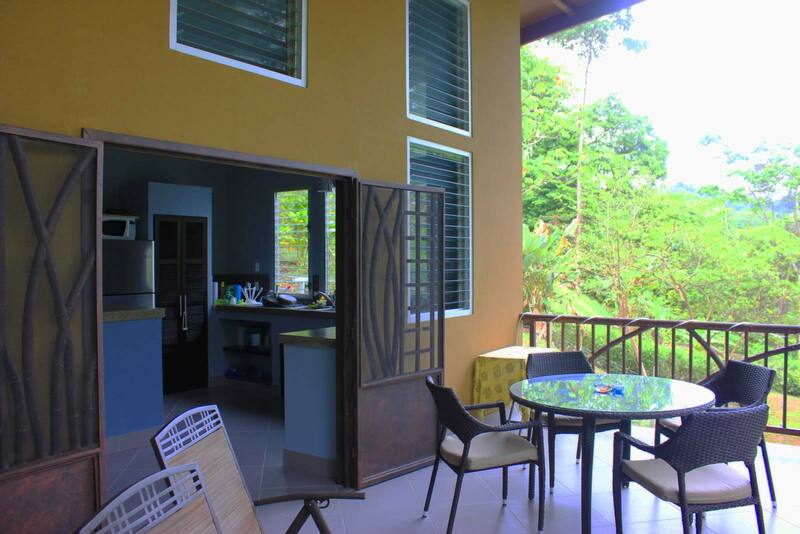 The community features a 24 hour guard, electronic gate entry, landscaped grounds and walking trail to the "green zone" with refreshing river pools to enjoy along the way. 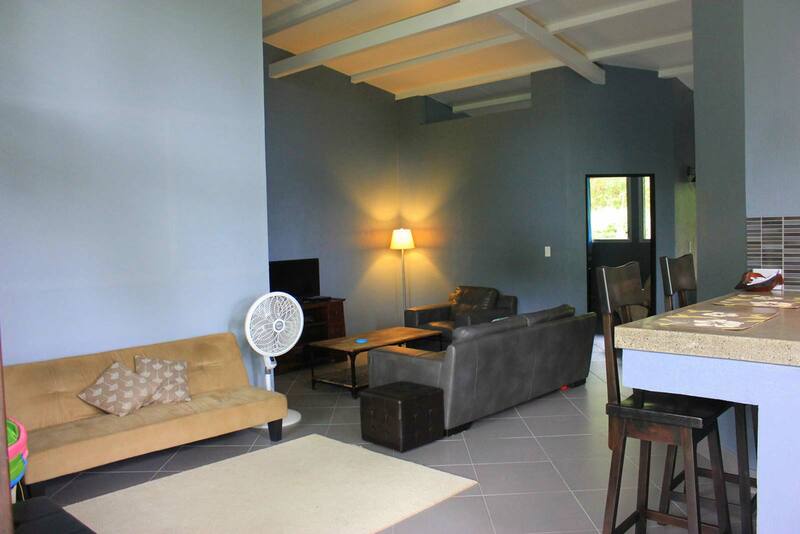 The location and security would make this a very appealing vacation rental catering to groups. 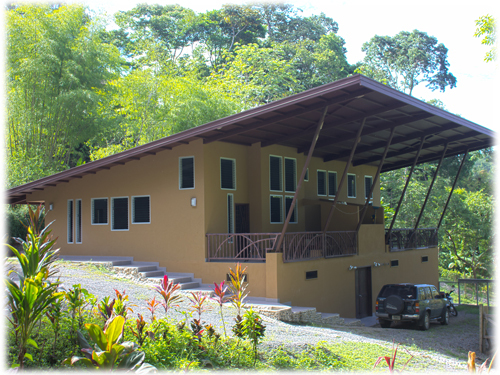 Tucked away in the rainforest, with an optimal location for life in the Southern Zone, this modern duplex-style home provides a unique opportunity for a healthy and active coastal lifestyle!